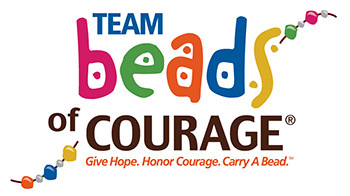 The players will be participating in our Team Carry A Bead Program and the beads will then be given to patients at Golisano Children’s Hospital that are enrolled in our Beads of Courage Program. Each bead comes with a personal note from the players and given a sign of strength and perseverance and to let the children know they are not alone. It is human solidarity at it’s best. Limited edition Syracuse Crunch Collector Beads will be sold at the game along with our Carry a Bead Kits. See the flyer for information on Sponsorship Opportunities! 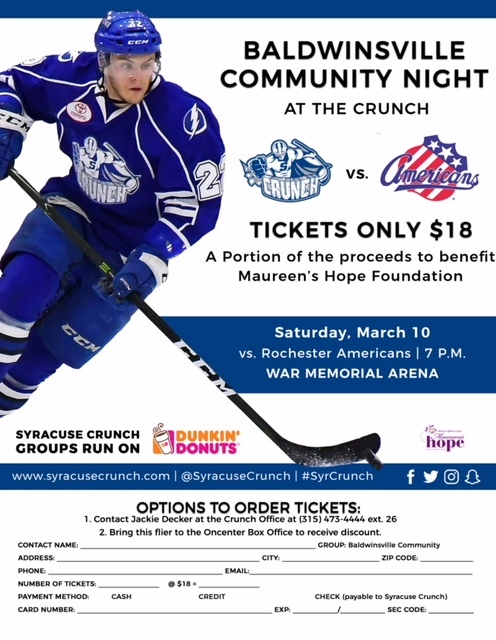 Thank you to the Syracuse Crunch and their fans for your support! Learn more about our Carry A Bead Program.